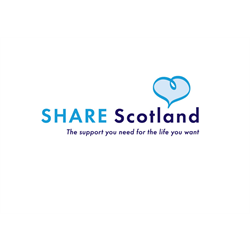 SHARE Scotland is a highly regarded parent-led organisation that has been successful in supporting adults with intellectual, physical and sensory impairments since 1991. We are looking for a Manager, with a proven track record of supporting adults with learning disabilities and physical disabilities, to manage our service in the Silverknowes area of Edinburgh where we support 2 adults. At least 3 years’ management experience would be preferable, SVQ Level 4 in Care/Management or be willing to work towards achieving these qualifications. Share will fund the SVQ as you work towards this. Share Scotland’s person-centred approach allows people the freedom and support to actively pursue their chosen lifestyle within their own home and local community, offering choices and opportunities to have a fulfilling and rewarding life. Share Scotland is committed to high quality and has a high star rating from the Care Inspectorate for ‘Quality of Care and Support’ in all of its services.